Our Waterworks wheelchair accessible wall mounted water cooler is designed to provide easy access to a refreshing drink of water for adults, children and wheelchair bound people alike. 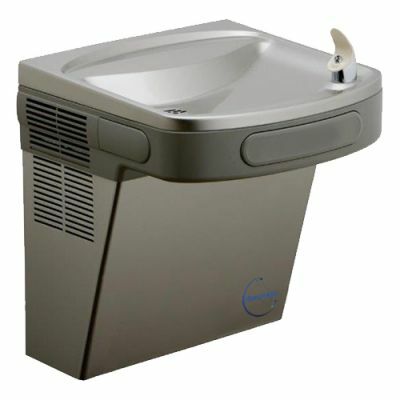 It's unique design and the ability to be mounted onto the wall at any height, make this the ideal water cooler for any application, including commercial, educational, public access, and special needs areas. Both the cabinet panels and the one piece top are constructed from high grade stainless steel. This extremely strong material provides both significant structural integrity and vandal resistance. Your wheelchair accessible water chiller is an electrical appliance and as such should be placed in an area protected from the elements and any external water sources. The unit should be placed onto a firm wall, with the base of the unit no lower than 230mm, and the top of the faucet no higher than 915mm.The water cooler is fitted with a 1.5M power cord which connects to any standard 240V 1PH 50Hz power outlet.